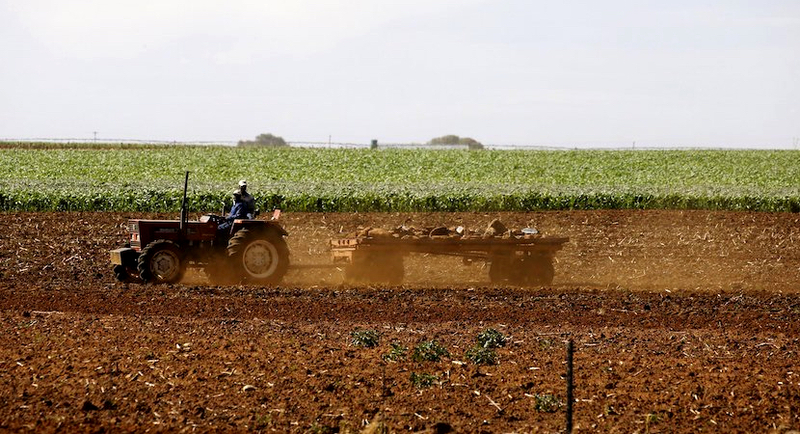 (Bloomberg) – South Africa’s Land and Agricultural Development Bank has warned expropriating farm land without compensation could cost the government R41 billion ($2.8 billion) if it’s forced to repay the state company’s debt immediately. The lender has approximately R9 billion of debt that includes a standard market clause on expropriation as an event of default, the Land Bank’s Chairman Arthur Moloto said in the company’s annual report on Monday. If expropriation without compensation happens without protection of the bank’s rights as a creditor, it would be required to repay that at once. If it can’t, a cross default clause would be triggered. The nation’s ruling African National Congress decided in December to change the constitution to allow seizure without payment to speed up giving black people more land. Access to land is one of the symbols of inequality in the nation of about 56 million where wealth and poverty are largely divided along racial lines. The purpose of the amendment is to promote redress, advance economic development, increase agricultural production and food security, the ANC said last month. South Africa’s commercial banks had almost R90 billion of farm debt on their balance sheets at the end of 2016, according to the Department of Agriculture, Forestry and Fisheries. If expropriation without compensation is poorly executed it could result in the Land Bank’s main sources of funding drying up as investors might not be willing to continue lending to the company in particular, or agriculture in general, Moloto said. Funders who remain willing to lend, would require an increased premium due to perceived higher risk levels, he said. Poor execution would include commercial land being taken out of production, no protection for creditors, no effective institutional processes, poor and undefined processes for the selection of beneficiaries, corruption and the lack of comprehensive support for beneficiaries, according to the Land Bank. The Land Bank’s profit fell to R254 million in the year through March, from R367 million in the previous 12 months.